MPSC Syllabus 2015 PDF Download For preliminary & Mains, New Exam Pattern : 1. 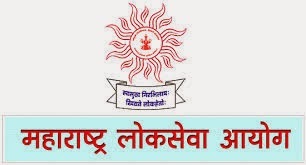 Maharashtra Public Service Commission has announced MPSC Syllabus 2015 to help all the candidates who are going to appear for the exam. So, guys are you applying for preliminary & Mains and searching for MPSC New Exam Pattern? You have come to a perfect place where you can get detailed info about it. 2. To fill up various vacancies in Govt field, MPSC conducts this exam. Look below for more info. MPSC exam contains 2 papers and the duration for each paper is 2 hours. MPSC Preliminary Exam Pattern 2015 is shown in the below table. You can find some changes in MPSC Main Exam Pattern. You can see 4 papers of General Studies and 2 mandatory papers of Marathi & English. Assistant Engineer (Electrical) - Grade- II, Maharashtra Engineering Services, Gr-B. Assistant Motor Vehicle Inspector Examination . 6. Candidates join us on Facebook for latest news and updates about MPSC results 2015. Guys subscribe us for free email alerts and bookmark our page for future reference.